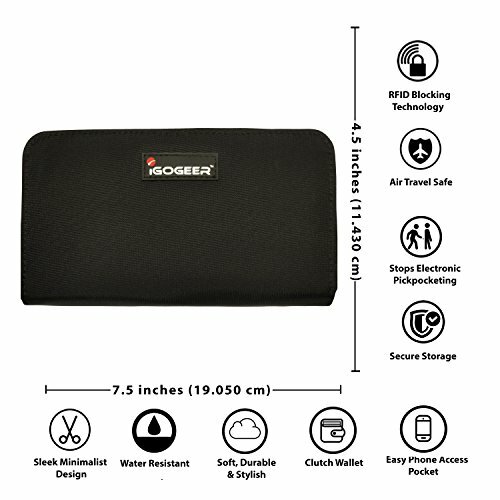 How Does the IGOGEER Women’s Travel Clutch Passport Wallet Stack Up? I’m a fan of IGOGEER. They seem to be one of the few companies out there really trying to improve their products and listen to their customers. I can’t comment from a female perspective but I can give some insight as to how I would use a clutch like this. 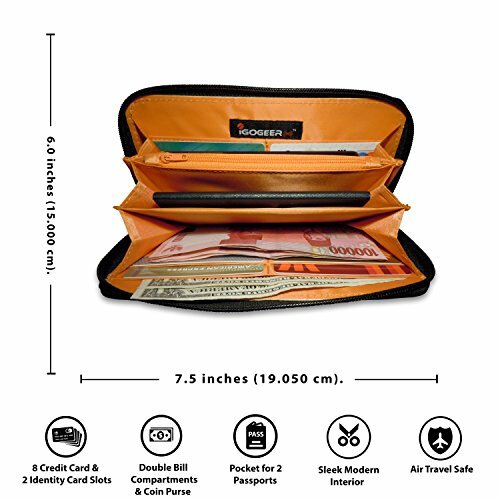 The wallet has room for up to 8 credit cards, 2 zippered compartments (one for easy access) and room for 2 passports. It’s light and made of high quality water resistant nylon ripstop. 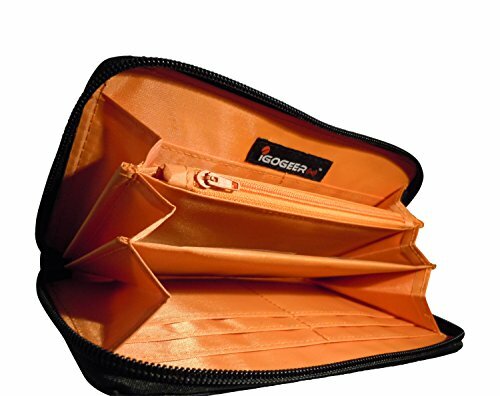 I asked a lady friend of mine to use the IGOGEER woman’s wallet for a day and report back on her findings. Her first comment was that the wallet doesn’t look very feminine. Sure, the clutch doesn’t evoke feelings of femininity right off the bat, but once opened, it has plenty of compartments and space for the essentials of any man or woman. There’s room for 2 passports but no obvious, dedicated passport pocket. 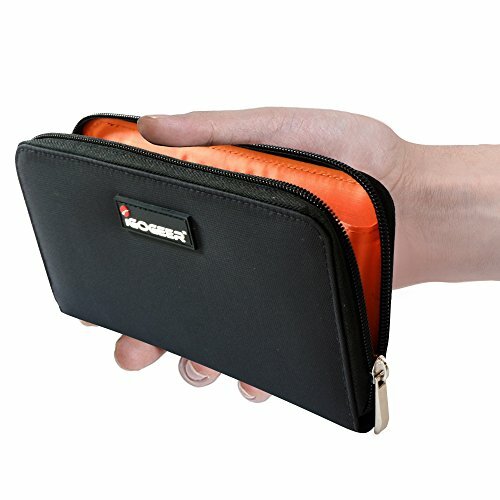 Once open, there is a larger sleeve at the back of the wallet. This is where I would stash my passport as it’s easy enough to access but not out in the open. 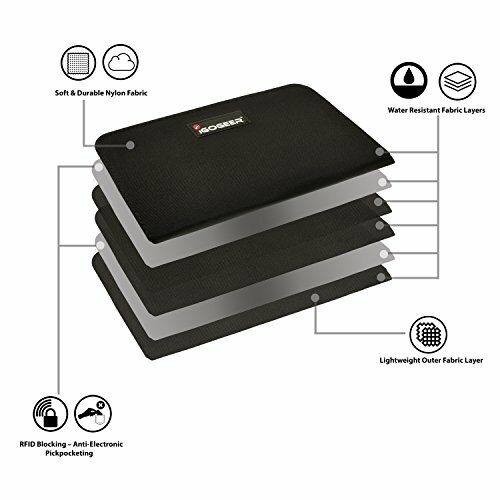 You might also stash currency or folded documents in the same pocket. Boarding passes may be a problem although if you fold along the perforated line you should be fine. In terms of different forms of currency, I counted 3 areas of the wallet that you could use to stash notes from different countries. There is also a clear panel to store ID or easy to access cards. 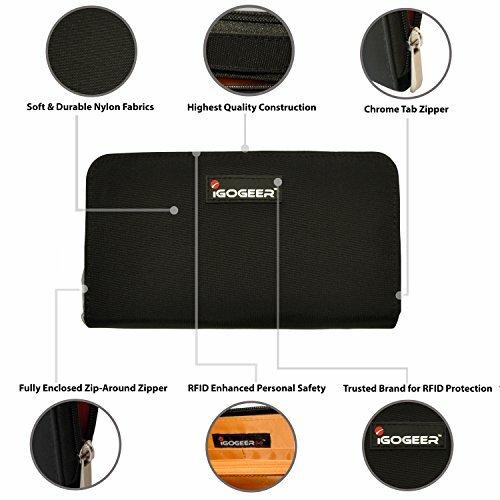 The IGOGEER travel clutch has 4 slots for cards on each back side of the wallet once opened. They are well sized but might prove to be a little tricky getting in and out if the wallet is too full. I did get a feeling of tightness, particularly in the zippered compartment on the back of the wallet. Getting anything in and out of that spot is a little finicky, let’s hope it loosens up in time. 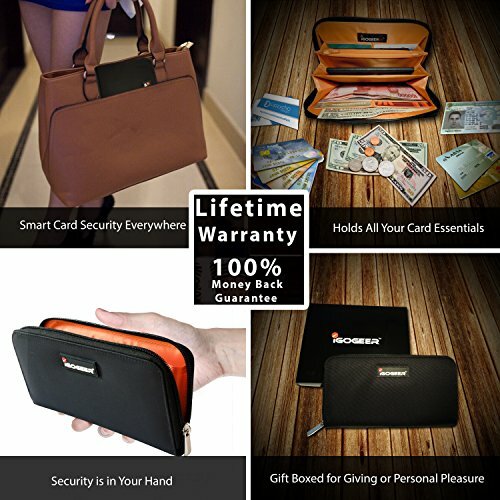 The wallet is certainly sturdy looking and feeling. There’s no doubting the RFID blocking efficiency here. You can really feel the rigidness of the wallet in your hands. 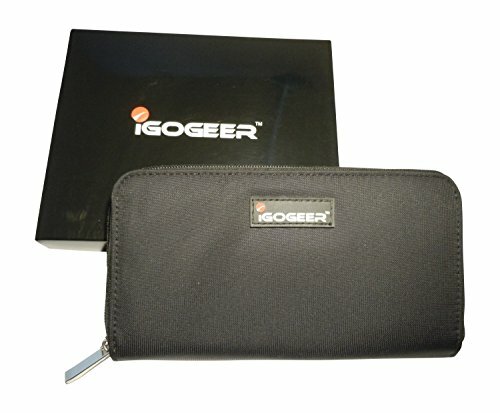 After testing, the IGOGEER clutch came back with perfect results. It’s quite compact and not really an inch bigger than it needs to be. The zippers work well and the zip pulls are a solid looking steel or similar. If you’re not taking more than your essentials, it’s a great little wallet that looks as if it will stand the test of time. 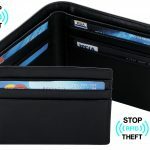 Although not perfect, I left this review feeling a great deal of trust for this travel wallet. 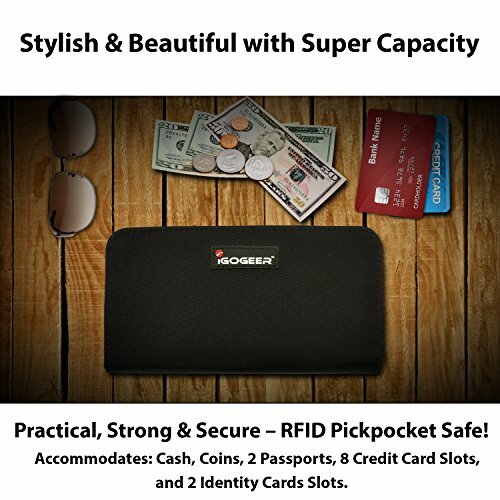 It's sturdy and logically designed and if not for it's lack of color choices and slight rigidity, it would be one of the best woman's travel wallets on the market.